RSVP for free party package before 11:30 – Password = “A-list” for free/reduced cover all night. 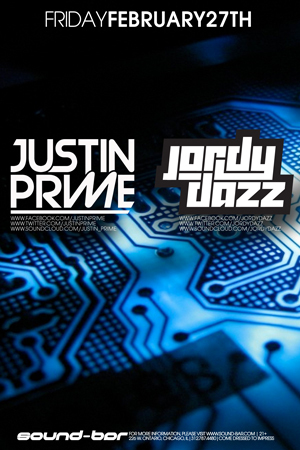 Justin Prime and Jordy Dazz come to Sound-Bar for their first time. Come check it out. If you have not seen them yet, you are in for a special treat on this night. 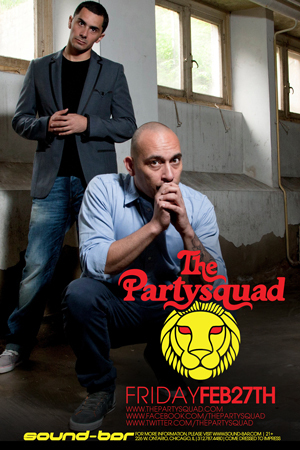 The Partysquad makes their return to Sound-Bar on this special night. These guys are full of energy. If you have not seen them live before, be sure to make it out on this night.